Most real experts will tell you not to play this risky game, because this behavior is dangerous for ther ranking of your website — your long-term strategy should be to write lots of good content, because content is king. If it’s good for humans, it’s good for robots. And much of what SEOs charge for is good old-fashioned webmastering. 1. Is your code clean? Run it through validator.w3.org and see. Search engines are finicky and fragile. Cut and paste whole content blocks and paste them into the search box to see if they’re being indexed. 2. Does your site load fast? Check average load times with free external monitoring services, likehost-tracker.com and spyfu.com. Could your images be reduced in size? Optimize your code to run faster and cache where possible. You want pages to load in under one second for an average connection. 3. Are you using dynamic pages? Do your urls have question marks or equal signs in them (www.mysite.org/?sessionid=123&contentid=3456 , etc…)? You can typically have one or two variables in the url, but it’s best to have static pages where you can. Descriptive urls are better for the user and can result in portions of your url being bolded (a good thing) when they match terms in the user’s search. CRM (Constituent Relationship Management) and CMS (Content Management System) vendors such as GetActive/Convio and Joomla have issues with dynamic urls but are working to make their packages SEO-friendly. 4. Do you have a Flash landing page? Or perhaps Flash navigation? Search engines cannot see beyond flash, as they look only at text. Do it in CSS. Use the Lynx browser or do a “view source” to get an idea of what search engines see. Don’t put up brick walls to search engines. 5. Do you have multiple versions of your homepage? For example, http://www.mysite.org and http://mysite.org), which is also known as the “canonical” issue. To prevent diluting your rank, choose one version and permanently redirect all others to that one. 6. Do you have lots of great content? One of our clients, a nonprofit with a $200 million annual operating budget, wanted to rank highly on a particular term, which was nowhere to be found on their site or sitemap. Our advice: create a page a day of unique content on that topic and over time you’ll be there in the rankings. Simple, but rarely followed. Don’t copy content from elsewhere in any significant way, as that can result in a dupe penalty or even get you banned. 7. Do your page titles and tags match your content? For all the talk about how managing meta tags can magically boost rankings, the reality is that if it’s something search engines can see, but humans can’t, it will receive less weighting. It can be gamed. Yet there is still value in having page titles and meta descriptions that reflect terms that are important to you. Just don’t stuff the title with every possible keyword you can imagine. Write your meta descriptions just as you would pay-per-click ad copy — be specific and use verbs, as that is what will show under natural search results. Links between pages should also have your key search phrases — don’t use “click here” in your anchor text. 8. Are you doing web analytics? Google Analytics is free and so is awstats. These programs can tell you where users are coming from, what they’re doing on the site, what keywords they came in through, and what’s driving an email signup or donation. Vendors like Lyris’s ClickTracks.com sell a more advanced product that will monitor your SEO rankings, perform A/B split tests, or even manage search campaigns, among other things. Google has other free tools like Website Optimizer, which help you perform landing page testing with ease. Many of these tools are free and easy to use, so there’s no excuse for even a small nonprofit to not be analyzing their online traffic. 9. Are you taking advantage of free PPC (Pay Per Click traffic? Google offers Google Grants, which provides free ad budgets to qualified nonprofits. Yahoo has rolled out a similar program, but with limited availability. If you are a nonprofit and are not a religious or political institution, there is no reason not to apply. 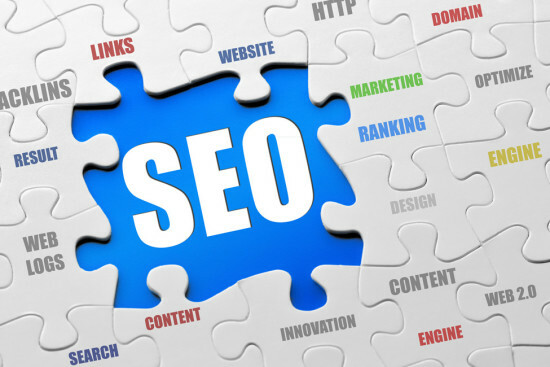 We hope these 9 tips will help you drive more search engine traffic to your site. As with the 80/20 rule, you often only need implement a few changes to see significant results.